to the officers and department. Please consider making a donation to help keep this program going and help bring home fallen heroes to their handlers and family. 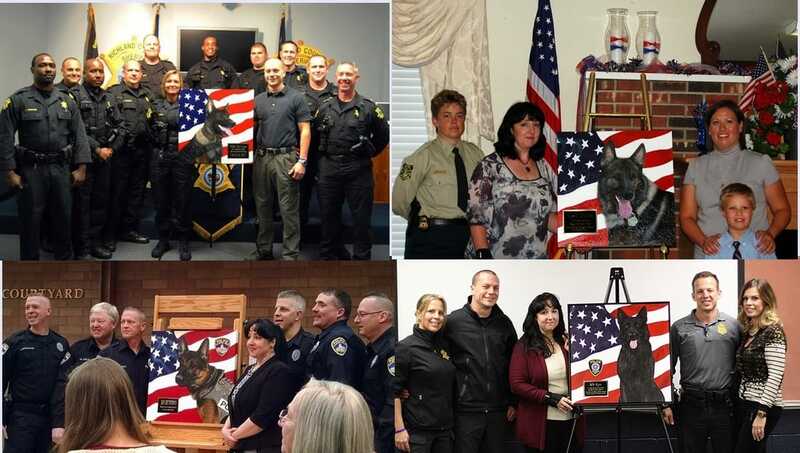 ​The K9 Hero Portrait Project is a nationwide program that provides law enforcement and military handlers life-like paintings of their fallen K9 partners at no cost to them. As a non-profit organization, The K9 Hero Portrait Project relies on your support. Businesses, community organizations and individuals like you are crucial to the continuation and success of this project. Every dollar counts and the tributes we produce for the handlers are not only beautiful, they help heal the wounds of losing their K9 partner. Please consider donating towards this project so that you can be a part of bringing back these K9 heroes for the men and women who protect our country. Our law enforcement K9s live and work with the handlers 24/7 and are as close to them as their family. Our military heroes leave their friends and families behind, and these dogs become their new best friend, confidant, therapist and their child. The bond between a handler and these K9's is unlike any other I've seen or witnessed. When one of these K9 heroes is killed in action or lost due to health or age, the handlers grieve for them just as they would for a child. For them, I create these portraits to immortalize their K9 partners. I've been told by dozens of handlers, "You have no idea what this means to me." 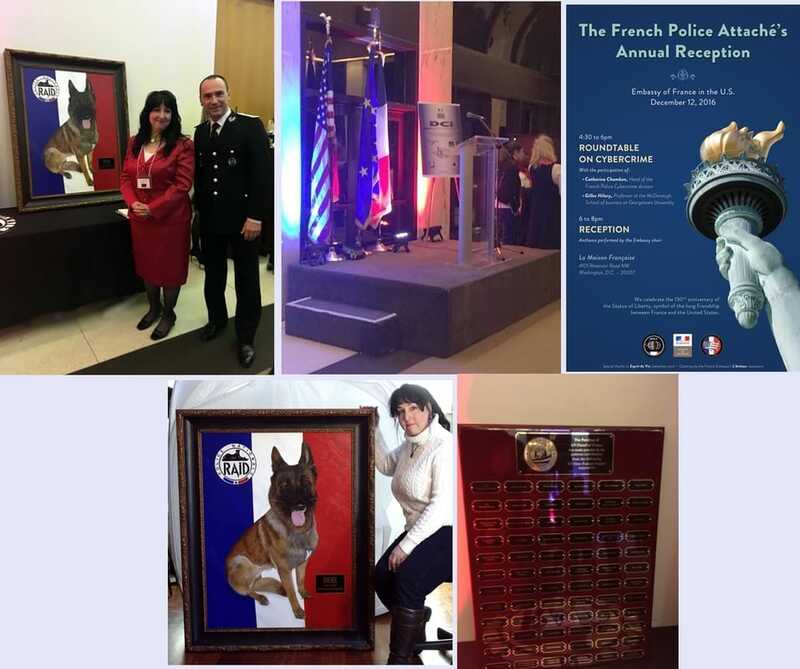 Original painting of K9 Jethro of the Canton PD hanging in the Canton Museum of Art, (April 9th - 28th), as part of the "Wounded Warrior" exhibition featuring the art of Loreen Pantaleone and sculptures of James Mellick. Six K9 Hero images from our program on display at the Canton Museum of Art (April 7th - July 17th). 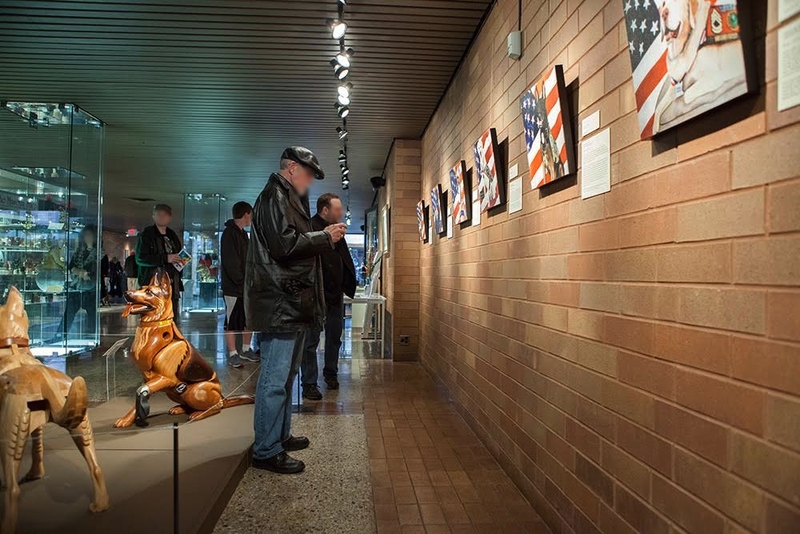 The Canton Museum contacted our artist and asked to do a special exhibition with fellow artist and world renowned sculptor, James Mellick, as part of their "Wounded Warrior" exhibition. Two of Mellick's sculptures can be seen on the left. MWD Gabe, MWD Ddoc, CWD Carlos, MWD Chef, MWD Jig and MWD Ryky 16" gallery wrapped canvases (the same we sell on Etsy), are on the wall.